Francis v. Kings Park Manor: Withdrawn! The Second Circuit holds for the first time that plaintiffs who bring disability discrimination cases under the Americans with Disabilities Act and the Rehabilitation Act must show the discrimination was the "but-for" cause of the adverse action. The Court of Appeals therefore rejects the more plaintiff-friendly "motivating factor" calculus that governs cases brought under Title VII. The case is Natofsky v. City of New York, issued on April 18. Plaintiff brought this case under the Rehabilitation Act and not the ADA. But in order to determine the burden of proof under the Rehabilitation Act, the Court must determine the scope of the ADA, since Congress said in 1992 that employment discrimination cases brought under the Rehabilitation Act apply the ADA causation standard. Since the Second Circuit has not yet determined the causation test under the ADA, it has to make that determination in the course of interpreting the Rehabilitation Act. The ADA says you cannot discriminate against someone "on the basis of disability." What does that mean? Does the "but-for" test apply, or does Title VII's "motivating factor" test apply? In 1991, when Congress amended Title VII, it explicitly adopted the motivating factor test for cases involving race, gender, religion and national origin discrimination. It did not use that language for age discrimination cases brought under the ADEA, which is why the Supreme Court in the Gross case in 2009 said the "because of" language in the ADEA requires proof of "but-for" discrimination and not the motivating factor test. (Whether or not Congress actually intended for the ADEA to have a heightened causation test than Title VII is another question; my best guess is that Congress probably thought "motivating factor" and "because of" meant the same thing, but that is water under the bridge, as the Supreme Court's statutory analysis said these phrases have different meaning, and Congress has not corrected the inconsistency). The Supreme Court a few years later in the Nasser case said that "the text of an anti-discrimination statute must expressly provide for a 'motivating factor' test before that test can be applied." This means that even retaliation cases under Title VII require "but-for" proof, since the retaliation provision of Title VII does not use "motivating factor" but "because of." The Second Circuit (Keenan [D.J.] and Walker, with Chin dissenting) says the "because of language" in the ADEA means the analysis in Gross applies, so that disability discrimination plaintiffs have to prove the discrimination was the "but-for" cause of the adverse action. This makes it a little harder to win disability discrimination cases in the Second Circuit, as everyone agrees that "motivating factor" is a lower burden of proof. The real-world consequences of this holding are hard to predict. I am not sure the "motivating factor" and "but-for" distinction will make a difference on a summary judgment motion, as parsing that out is like dancing on the head of a pin, but it could factor into the jury instructions and push the deliberations toward the employer, as the "but-for" test is more defendant-friendly than "motivating factor," which is not a 50% causation test like the "but-for" test. Since we interpret the ADA this way, the Rehabilitation Act is also interpreted this way. Judge Chin dissents. He notes in part that when Congress enacted the ADA in 1990, it expressly wanted that statute to be interpreted consistently with Title VII. When Congress amended the ADA in 2008 to deal with some misguided Supreme Court rulings that narrowly interpreted the statute, it again said it wanted "a broad scope of protection to be available under the ADA." What we got here is a battle of statutory analysis involving the most commonly-used anti-discrimination statutes on the books. These different interpretations affect how the Court of Appeals views Natofsky's case. Remember him? It was Natofstky who brought this case that led to the extended discussions about what the Rehabilitation Act and the ADA really mean. In the next blog post, I will talk about his case in particular, though here's a hint: he loses the appeal, though he would have won had Judge Chin had another like-minded judge on the panel. Under the Prison Litigation Reform Act, inmates who file three frivolous lawsuits cannot file another case "in forma pauperis," which would waive the filing fees for inmate-litigants who cannot afford them. This is the "three-strikes-you're-out" rule. This case involves an exception to the three strikes rule. The case is Shepard v. Annucci, issued on April 15. Shepard's prior lawsuits were deemed frivolous, but he sued again, claiming that prison staff did not accommodate his back injury by refusing to house him near the clinic, the package room and the visiting area. While Shepard had exhausted his allotment of frivolous cases, he invoked the exception, which allows you in forma pauperis if you are in "imminent danger of serious physical injury." The idea is that being in imminent danger and the need to file a new lawsuit over that outweighs the three-strikes penalty. So if you are in imminent danger, the filing fees are waived just this once. The government opposed Sherpard's request for waive the filing fees, claiming (1) Shepard had not come clean about all of his prior frivolous lawsuits and (2) he was in imminent physical danger. Of course, the work the government expended in fighting off Shepard's claimed exception to the three-strikes rule far exceeded the amount of the filing fees that Shepard was trying to avoid paying, but my guess is the government thought this effort was worth it to avoid another lawsuit by Shepard. In any event, the district court dismissed the case after agreeing with the government's position. The Court of Appeals (Cabranes, Droney and Sullivan) affirms, taking up a new issue under the PLRA. The Circuit says the district court can go beyond the complaint to determine if the inmate-plaintiff really is facing imminent danger. This is consistent with the rule that "courts have long permitted evidentiary submissions at the pleading stage in a variety of different circumstances," including inquiries into whether the court has jurisdiction to hear the case. It is not enough for the inmate to assert in his complaint that he is facing imminent danger. Holding otherwise would only encourage inmates to assert the physical injury exception to avoid paying filing fees. We don't want that, do we? What is means for Shepard is the district court got it right in finding Shepard was not really facing imminent danger when he filed the lawsuit. Prison doctors said that while Shepard does have chronic back pain, he has access to a wheelchair and other ambulatory aids and the doctors did in fact provide him with pain medication. The Court also finds that plaintiff's claim that his muscles atrophied because of his 24-hour confinement "was shown to be 'ridiculous.'" This all means that Shepard cannot proceed with his case without paying the filing fee. No fee, no case. The Court of Appeals has reinstated an employment discrimination case, concluding the jury may find the plaintiff was terminated from his position because of his national origin, Egyptian. The key evidence in the case is that plaintiff claimed to overhear the decisionmaker tell someone that she "kn[e]w how to terminate this stupid Egyptian guy." Plaintiff was the only Egyptian in the department. The case is Moza v. Health and Hospitals Corp., a summary order issued on April 15. I represented plaintiff on appeal. Plaintiff was a doctor who worked in the Risk Management Department for a City hospital. The summary order does not set this out, but he mostly received positive performance reviews for quite some time until a new supervisor, Woll, came aboard. It was Woll who uttered the "stupid Egyptian" comment in April 2013. In September, Woll recommended plaintiff's termination. While the Second Circuit (Pooler, Chin and Vitaliano [D.J.]) emphasizes the "stupid Egyptian"comment, it notes in passing that plaintiff claims that Woll said other discriminatory comments to him, including a statement to a coworker that plaintiff has a "different culture from us." Also, while discussing plaintiff's religious practices (plaintiff is a Coptic Christian), Woll said, "This is stupid" and walked away. What we have in this case, then is a swearing match, where plaintiff testifies that Woll made these discriminatory comments, and Woll denies it. As the Second Circuit notes, "It is for the jury to determine whether to credit Moza's account." The Court cites Owen v. New York City Housing Authority, 934 F.2d 405, 410 (2d Cir. 1991). If Woll said these things, then it taints the negative performance evaluations that she prepared against plaintiff, and the jury can rule in plaintiff's favor. While many discrimination cases involve circumstantial evidence, requiring the plaintiff to argue that the employer's lies about job performance and discipline are false, direct evidence cases like this are quite different. You don't see racial comments like this every day, which is why the courts have devised a formula for sorting through circumstantial evidence. It is much easier for the plaintiff to win through direct evidence. A side note to this appeal deals with summary judgment in employment cases. The Second Circuit's pro bono panel assigned me this case. While the plaintiff alleged in his summary judgment opposition brief that Woll made the "stupid Egyptian"comment, his attorney did not cite to plaintiff's sworn statement to that effect. The district court noted that omission and said plaintiff did not testify to this at deposition and the allegation was therefore meritless. But while the statement is not in plaintiff's deposition, contrary to the district court's analysis, that was not the end of the story. True, the first place we look for "smoking gun" evidence is the plaintiff's deposition, where it is sure to come out in response to questions by the defendant's lawyer. But for some reason, this issue did not come up at deposition. But the sworn statement was in the record through plaintiff's verified complaint filed with the State Division of Human Rights. As a sworn statement, the SDHR charge has the same effect as an affidavit. You can use it in opposing a summary judgment motion. Since the SDHR charge was in the summary judgment record, the Court of Appeals was able to reverse the grant of summary judgment and remand this case for trial. If you are a plaintiff's lawyer trying to fend off a summary judgment motion, look for these sworn statements filed with the administrative agencies to press those factual disputes. Right now, eight hard-working Americans are sitting around watching television, reading the paper, looking at Facebook or playing with the family dog. They do not know each other, and none have any experience with the American legal system. They do know it yet, but some day, perhaps later this year, they will all convene at the United States Courthouse in lower Manhattan go decide whether Blair Davis-Garett was retaliated against by Urban Outfitters for complaining about age discrimination. The case is Davis-Garret v. Urban Outfitters, issued on April 8. Plaintiff was an older employee who suffered age-related harassment in defendant's retail stores in White Plains and Long Island. She also worked at the Greenwich store, where she was given lousy job assignments and denied training. The Greenwich maltreatment happened shortly after plaintiff called the company hotline to complain about the age-harassment, which took the form of insulting ageist comments from supervisors. The trial court dismissed the retaliation claim on summary judgment, ruling that plaintiff could not show her bad treatment at the Greenwich store was a material alteration in the terms and conditions of her job duties. The Second Circuit says this ruling might have made sense in 2005, but not anytime since, because in 2006 the Supreme Court said in the Burlington Northern case (one of the last remaining pro-plaintiff employment discrimination cases from that Court) that retaliation cases involve a different definition of "adverse action," which in this context means any management response to the discrimination complaint that might dissuade a reasonable employee from again speaking out against discrimination. The idea is that if management responds to discrimination complaints in a hostile way that does not amount to demotion, termination, etc., that response might still deter people from complaining, and the discrimination laws will then be violated without any consequence. The Second Circuit in this case takes the time to remind us of the basic rules governing summary judgment, including the rule that all reasonable inferences must be drawn in the plaintiff's favor in determining if the plaintiff can win at trial. The trial court in this case did not do that, for the following reasons. First, while plaintiff was in fact promoted to the position that she wanted, as the Second Circuit (Katzmann, Chin and Kearse) notes, that only happened after she complained about discrimination, and when she got the promotion, no one trained her, she was unfairly criticized for deficient performance, she was scheduled to perform unsavory job assignments and management made ageist comments toward her. While the district court said a mere job transfer is not enough for a retaliation claim, it overlooked how that job offer was countermanded after the decisionmaker learned about the discrimination complaint, and she was sent to a location where that position was already filled and she was then denied training and given undesirable assignments. As this treatment would prevent a reasonable employee from speaking out against discrimination, plaintiff has a retaliation case. The Second Circuit notes that management can still win this case, and the all the Court is doing is finding that plaintiff may prevail at trial. The final decision on this case will be made by those jurors who are now sitting at home watching television, reading scholarly journals or staring into the night sky. Unless the case settles. This retaliation case alleges that New York City supervisors punished the plaintiff for speaking out against sexual harassment and racial discrimination. The Court says the plaintiff plausibly alleges that supervisors retaliated against her in part by denying her the proper lunch hour to prevent migraine headaches. The case is Collymore v. City of New York, a summary order issued on April 11. The Court of Appeals sure likes its summary orders, even when it reverses the grant of summary judgment. The Court probably does this because it does not see the case as precedent-setting, which means the district court blew it in dismissing the case. But this case stands for something interesting that deserves attention. Collymore must plausibly allege (1) that she participated “in a protected activity; (2) that the defendant knew of the protected activity; (3) an adverse employment action” was taken against her; and (4) there was “a causal connection between the protected activity and the adverse employment action.” Littlejohn v. City of New York, 795 F.3d at 315-16. [A]n adverse employment action is any action that could well dissuade a reasonable worker from making or supporting a charge of discrimination.” Vega v. Hempstead Union Free Sch. Dist., 801 F.3d at 90. “[N]ormally petty slights, minor annoyances, and simple lack of good manners will not create such deterrence.” Burlington N. & Santa Fe Ry. v. White, 548 U.S. 53, 68 (2006). To satisfy the requirement of a causal connection, “the plaintiff must plausibly allege that the retaliation was a ‘but-for’ cause of the employer’s adverse action.” Vega, 801 F.3d at 90. 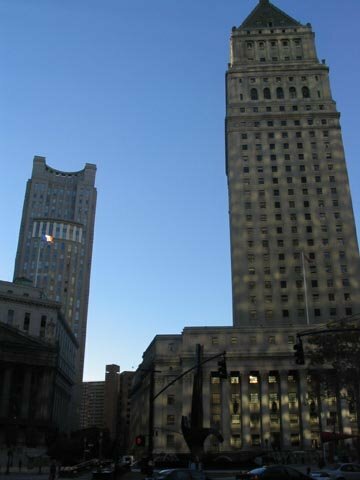 At the pleadings stage, causation may be satisfied by allegations that “each of the adverse actions” defendants took “occurred against a backdrop of continuing antagonism and frustration of [the plaintiff’s] professional ambitions.” Duplan v. City of New York, 888 F.3d 612, 626 (2d Cir. 2018). The Court (Pooler, Chin and Eaton [by designation]) says plaintiff's allegations that supervisors were harsh with her and yelled at her are nonactionable "petty slights, minor annoyances and simple lack of good manners" that cannot give rise to a lawsuit. Of course, this kind of office behavior is in the eye of the beholder. There is yelling and bad manners, and then there is yelling and bad manners. But that analysis stems from Supreme Court authority, and I don't think the Second Circuit wants to litigate your run-of-the-mill verbal abuse from supervisors who probably have personality disorders but who are not crossing the line into exceptionally abusive tantrums that might actually drive someone from the workplace. But Collymore still has a retaliation case because she was forced to work through her lunch hour, causing her to suffer migraines on a regular basis. As the Second Circuit sees it, these supervisors "forced Collymore to choose between reporting discrimination and maintaining her health. It is therefore plausible that a reasonable worker in Collymore’s position would decline to report discrimination in order to conserve their health. Because Collymore has alleged facts indicating that Defendants-Appellees’ retaliation 'occurred against a backdrop of continuing antagonism and frustration of [her] professional ambitions,' Duplan, 888 F.3d at 626, Collymore has also sufficiently alleged a causal connection between her protected activity and the retaliatory acts." Remember what I said about summary reversals? This case does not have the full precedential authority of a published opinion, but even summary orders can be cited in briefs. The Second Circuit from time to time cites its own summary orders to support its rulings. This case could have been precedential, as I have not seen a case that says forcing an employee to choose between reporting discrimination and protecting her health may give rise to a retaliation case under Title VII. So if you need a case that stands for that proposition, here it is. The Second Circuit only issues a handful of epic employment discrimination cases each year, using the occasion to survey the legal landscape before hammering a district judge who improperly granted management's motion for summary judgment. In this case, the Court of Appeals reinstates an age-harassment and retaliation case. The case is Davis-Garett v. Urban Outfitters, Inc., issued on April 8. Plaintiff was in her 50's, working for a clothing retainer with younger coworkers and managers. She started working at the Roosevelt Field store before she was shipped to White Plains. She was then denied a transfer to the Edgewater, N.J. location. Plaintiff brings two claims: hostile work environment because of her age, and retaliation for complaining about the work environment. I'll start with the age-harassment and our next installment will cover the retaliation and the related summary judgment observations that the Second Circuit (Kearse, Katzmann and Chin) fleshed out in the ruling. At the Roosevelt Field store, supervisors stuck plaintiff in the fitting room while the younger workers were trained to handle various other store-related tasks. When the Roosevelt Field store closed down and the employees were sent to work at other locations, plaintiff was sent to White Plains, more than 30 miles away. She was told she was sent to White Plains because of the "demographics" of that store, i.e., "that the people that shopped in the store were older and that I was old and that is why I was transferred there." In White Plains, plaintiff again found herself in the fitting room and received no training, yet she was often called upon to pick up "unsanitary trash or waste." She was also ostracized by younger workers, who repeatedly called plaintiff "mom" or "mommy" and "asked her to take care of their cuts, bruises and other ills" and they "consulted her about their personal problems." Even when plaintiff became a full-time customer associate in the White Plains store, she still worked the fitting room, and when she asked about a promotion to the apparel supervisor position, Store Manager Bentley told plaintiff that she "was too old for the job" and "you don't have the energy" and "the only reason you were sent here is because of the demographics here . . . the people that shop here are older and you're old" and "you would never be able to handle being a manager." the entirety of Garett's ADEA claim that she was subjected to a hostile work environment—being, from the start of her employment at Anthropologie, denied the training given to younger sales associates and relegated to work almost exclusively in the fitting room, and later being assigned the most unpleasant and arduous duties and subjected to age-disparaging criticisms daily—was timely. Very often, when you read these appellate rulings, you wonder how the case got dismissed on summary judgment. I cannot answer that question for you. The evidence seems clear, except that perhaps the district court judge forgot that prior age-related comments factor into the analysis; once that evidence enters the picture, the case looks very different. What wins the appeal for Garett is the volume of age-related comments combined with the age-neutral acts of hostility that, viewed in the context of the ageist slurs, may be presumed to be age-related as well. The point here is that we look at the totality of the evidence in determining whether someone has a hostile work environment case. A month ago I wrote about a case that expanded liability under the Fair Housing Act, which said landlords can be held liable for failing to deal with racist neighbors who create a racially hostile housing environment. That case is Francis v. Kings Park Manor, decided on March 4. Today the Second Circuit issued a ruling that withdraws the Francis decision without comment. Why did this happen? Is the Second Circuit contemplating an en banc review? Was there something wrong with the decision? Who knows?